your written permission and authorization. What Personally Identifiable Information Does AdamsEmploymentLaw.com Collect? How Does AdamsEmploymentLaw.com Use This Information? We use the Personal data you provide us to handle any requests (send information about our services, answer online inquiries, etc. 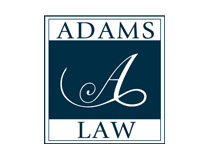 ), and to enhance your experience with AdamsEmploymentLaw.com – to provide you with information and communications that, based on the information you submitted, we think you will find valuable. We will NEVER sell or rent your personally identifiable information to anyone without your written authorization.